Drupal is one of the best open source CMS platforms. Backed by colossal community of developers and users, it offers multitude of features and templates to create unique and dynamic websites, portals and online communities for millions of users. 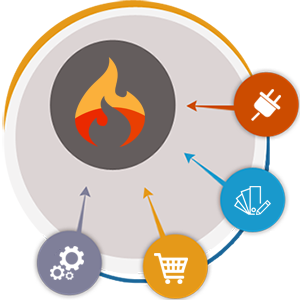 WebAppMate offers you invincible Drupal Development services with its experience of delivering impeccable products in last 5 years. We have a team of skilled, highly qualified developers possessing in-depth knowledge of Drupal, who ensure flawless understanding of your requirements and crafting respective solution as per your needs.